Entries are now being accepted for the 36 hole Dundalk Scratch Cup, sponsored by One Finance, which will be played at Dundalk Golf Club on Sunday, September 17. Irish international Caolan Rafferty will defend the title he won for the first time last year and there will be a special prize for anybody who beats the course record of 64 which was recently set by another former Scratch Cup winner Aaron Grant..
Grant and Rafferty will lead the challenge from the home club along with Boys internationals Eoin Murphy and Josh Mackin,. 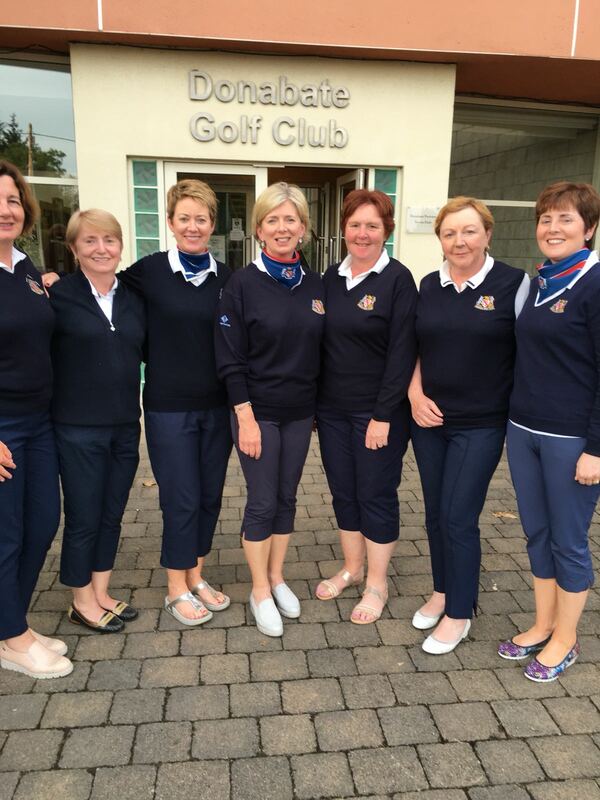 Entries can be submitted to the Pro Shop at Dundalk Golf Club on +353 42-9322102. Congratulations to Juvenile Captain Eoin Murphy who made his international debut last week and picked up his first point for Ireland at the Boys Home Internationals in St Anne’s Old Links in England. 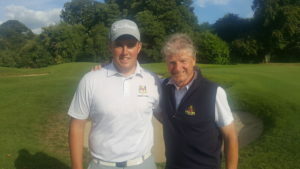 After suffering foursomes and singles defeats in Ireland’s draw with Scotland on the opening day and a foursomes loss in the defeat by the eventual winners England, Murphy finally got his debut point on Day Three against Wales when he partnered Charlie Denvir (Elm Park) to a 4&3 win. That point helped Ireland to a 10-5 win over the Welsh and second place overall. 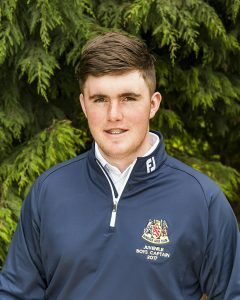 Caolan Rafferty will make his senior international debut this week at the Home Internationals at Moortown Golf Club in England from Wednesday to Friday and everybody at the club extends their best wishes to him. Caolan Rafferty and Eoin Murphy have been called up to the Ireland teams for this month’s men’s and boys Home Internationals. It will be the first international appearance for both players and is recognition for the excellent seasons that both players have had. Rafferty will be part of an Ireland team that is bidding for a fourth successive triumph in the Home Internationals when they tee off at Moortown on August 16. The team will have a chance to create history as no Ireland team has ever won four times in succession. He is one of two new caps on the team as Irish Amateur Open Champion Peter O’Keeffe from Douglas is also included. last 32 of The Amateur Championship where he also won the silver medal for leading qualifier. He was also leading qualifier at the North of Ireland where he was a beaten semi-finalist and reached the quarter-finals of the West of Ireland. 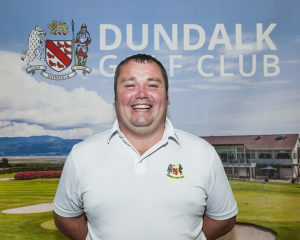 He also helped Dundalk reach the semi-finals of the Barton Shield for the first time won five points out of six as Leinster won their third successive Interprovincial title. Murphy is one of seven new caps in the Ireland team for the Boys U18 Home Internationals at St Anne’s Old Links where hosts England will be defending the title they won last year in Ballyliffen. Ireland last won the Boys Home Internationals in 2013. 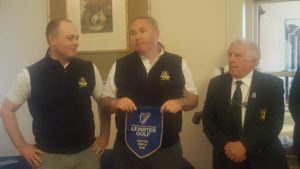 Murphy, who last year won the Faldo Ireland Series and the Munster Boys Championship, reached the last 16 of the West of Ireland after coming through pre-qualifying and qualifying rounds. He managed top twenty finishes in all the provincial boys championships and then helped Leinster to the Interprovincial title where he won two points from four matches before leading Dundalk to a first ever Fred Daly Leinster title. He was also part of the Barton Shield team. Ireland team (Home Internationals, Moortown, 16-18 August): Colm Campbell (Warrenpoint), Robin Dawson (Tramore), Colin Fairweather (Knock), Alex Gleeson (Castle), John Ross Galbraith (Whitehead), Rowan Lester (Hermitage), Paul McBride (The Island), Peter O’Keeffe (Douglas), Conor O’Rourke (Naas), Conor Purcell (Portmarnock), Caolan Rafferty (Dundalk). 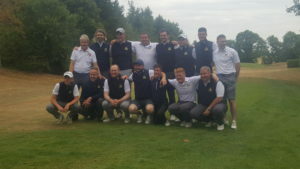 Team Captain: Tony Goode (Lucan), Team Manager: John White (Co Armagh), National Coach: Neil Manchip. 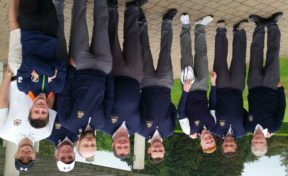 Ireland team (Boys Home Internationals, St Anne’s Old Links, 8-10 August): Reece Black (Hilton Templepatrick), John Brady (Rosslare), Charlie Denvir (Elm Park), Jack Doherty (Carton House), Jack Hearn (Tramore), Ross Kelly (Tuam), Aaron Marshall (Lisburn), Robert Moran (Castle), Eoin Murphy (Dundalk), Mark Power (Kilkenny), Cameron Raymond (Newlands). Team Captain: Cathal McConn (Roscommon). Team Manager: Alasdair Gibson (Knock). National Coach: Neil Manchip. Dundalk are through to the Leinster Final of the Fred Daly Trophy after an superb win over a Carton House team that contained newly crowned Ulster Boys Champion Jack Doherty. The Fred Daly Trophy is the premier inter-cub boys tournament in the country and involves five singles matches with the home team staging three and the away team hosting two. Drawn away, Dundalk despatched Eoin Murphy, Josh Mackin and Padraig Fallon to the Kildare venue while Sean Laverty and Kyle Rafferty were handed responsibility for the home leg. Laverty was always in control on his way to a 3&2 victory while Rafferty found himself two down after eight but was level after 12 and eventually won on 19th after somehow scrambling a par from the trees on the 18th to force the match to sudden death. At Carton House defeats for Murphy and Fallon meant the outcome rested on result of Josh Macken’s match and, one down playing the last, the Irish Boys international showed his steel as he eagled the par five 18th after hitting a two iron 215 yards to 20 feet and sinking a tricky downhill breaking putt. Another great approach shot at the 19th to six feet left Macken with two putts for victory and he duly sealed Dundalk’s place in the final where they will face Greystones at Portmarnock Links on Friday, July 28. Dundalk began their campaign with a 4-1 win over Laytown & Bettystown before defeating Donabate 3.5 to 1.5 in the Second Round. A narrow 3-2 win over Ardee followed before a 3.5 to 1.5 win over The Island in the quarter-finals. Two Dundalk golfers certainly made their presence felt at West of Ireland Championship in Rosses Point last week and while they didn’t come away with the title, they certainly laid down markers for the season ahead. Caolan Rafferty went one better than year by reaching the last eight while Eoin Murphy, who has just turned 17, reached the last 16 in what was his first major amateur championship. Murphy, who is a two handicapper, had to pre-qualify for the tournament and earned one of the 20 spots on offer after a marathon seven hole play-off was needed to fill the remaining four qualifying places from the 10 players tied on 77. On the seventh tie-hole Murphy found himself as one of three players chasing the last two spots and his hopes of qualifying looked doomed when he forced to take a penalty drop from a wall. He made a five but got through after one of his rivals played a wrong ball and incurred a two-stroke penalty. Four other Dundalk players – Andrew Keenan, Conor Curran, Richie Newell and Neil MacKell – also played in the pre-qualifers but failed to make the cut. Murphy took full advantage of his good fortune two days later when he teed up in the Championship proper. He shot a three under par 68 in the first of the two strokeplay qualifying rounds as he mixed three bogeys with four birdies before holing a 60-yard lob wedge for an eagle two at the 18th. 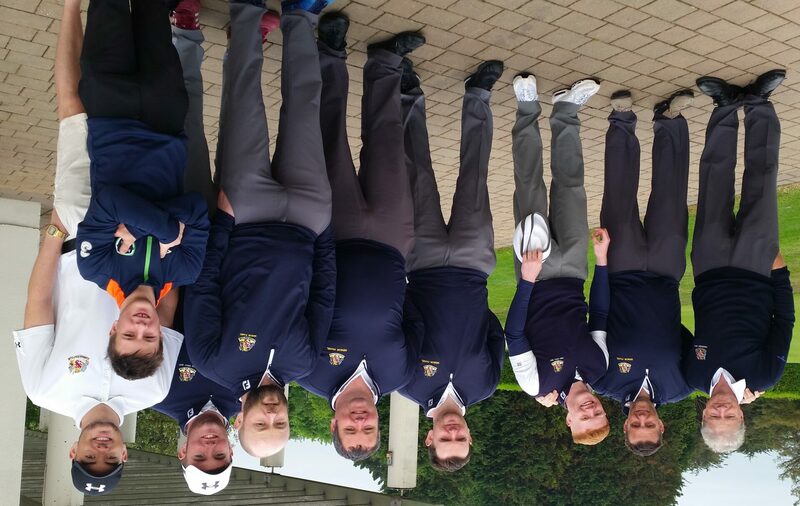 Although he shot a 78 in the second round, Murphy comfortably qualified for the matchplay stage as did Rafferty who shot rounds of 72 and 75 but Aaron Grant missed the cut by two shots after he followed an excellent opening round of 73 with a nine-over par 80. In the first matchplay round Murphy was drawn against Irish international Tiarnan McLaron (Massereene) and showed no signs of nerves against one of the favourites as he trounced the Ulsterman by 6&5 and he proved it was no fluke in the afternoon when he defeated Royal Dublin’s Richard Knightly by 3&2, impressing everybody as he came from two down with a tremendous run of winning holes to close the match on the 16th. 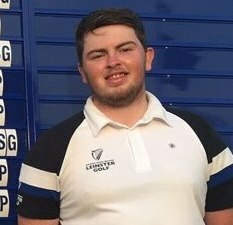 Rafferty also had a good day at the office on Easter Sunday as he saw off Tandragee’s Ross Dutton by 2&1 in the first round and then beat Andrew Hickey (Ballyhaunis) by 3&2 after lunch to reach the last 16 for the second successive year. Unfortunately for Murphy, his magnificent run came to an end on Easter Monday morning when he was beaten 6&4 by local favourite David Brady (Co Sligo) but he certainly left his mark on the competition and showed that he has the ability to play at Irish amateur golf’s highest level. Rafferty drew on all his experience to make the quarter-final as he was two down with four to play against Colin Woodroofe (Dun Laoghaire). He birdied the 15th, 16th and 17th to go one up and also won the 18th to win the match by two holes and earn a shot at making the last day of the West. Rafferty faced Portmarnock’s Jack Pierce in the last eight and came up against a player in the top form from tee to green. Pierce, who helped Portmarnock win the World Club Golf Championship in December, opened up a three shot lead but although Rafferty birdied the 12th to reduce the deficit to two with six to play but he was unable to reel in Pierce who won by 2&1 and was level par for his round when it finished on the 17th. While obviously disappointed that he didn’t make the semi-finals and the final day of the Championship, Rafferty can take a lot of satisfaction from his opening major of the year having gone one better than he did in 2016.